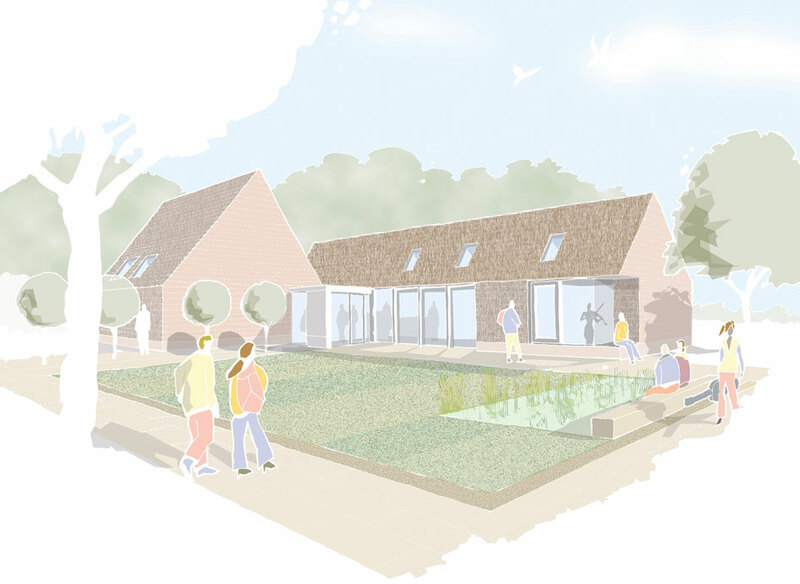 The new building and associated landscaping is designed to provide a green heart at the centre of a music campus on the rural fringe of a Hertfordshire market town. It will be a welcoming place for talented young musicians who visit to try out and borrow good quality musical instruments. 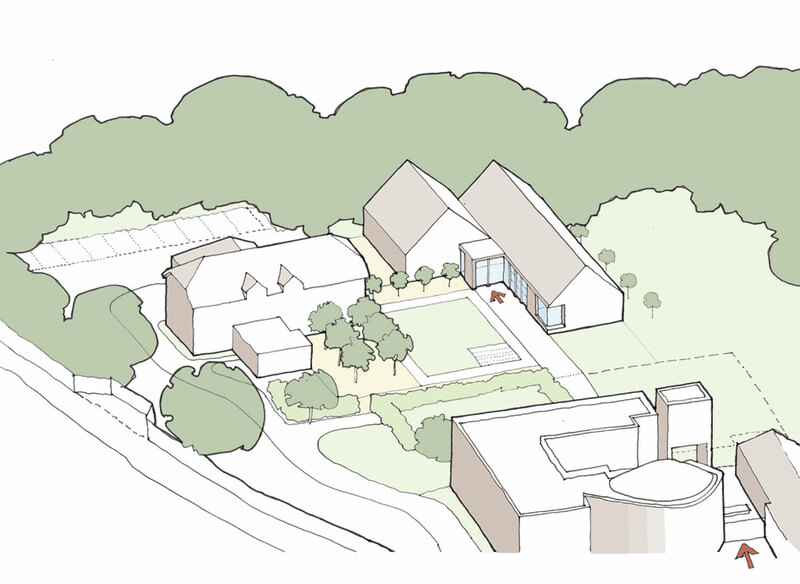 The facility is designed as two distinct pitched roof volumes arranged in an L shape to create a new main square on the site, one volume containing administration space, a practice room and workshop, and the other a climate controlled instrument store. A simple palette of tactile materials is used: handmade clay tiles, brick and stone, together with traditional roof forms to mirror the original Victorian house on the site. 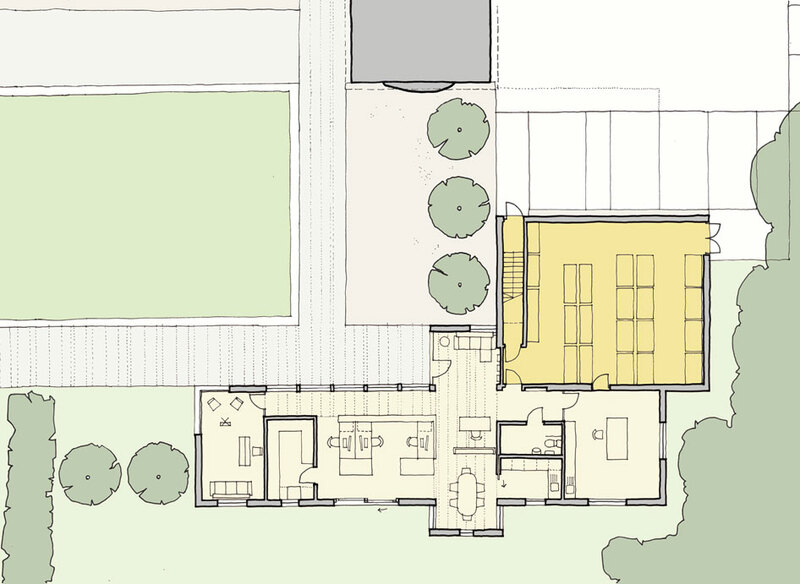 A new network of courtyards creates a series of outside rooms containing quiet seating areas and an external performance space. Formal and informal routes link the different buildings across the campus and help make the different activities on the site more legible.